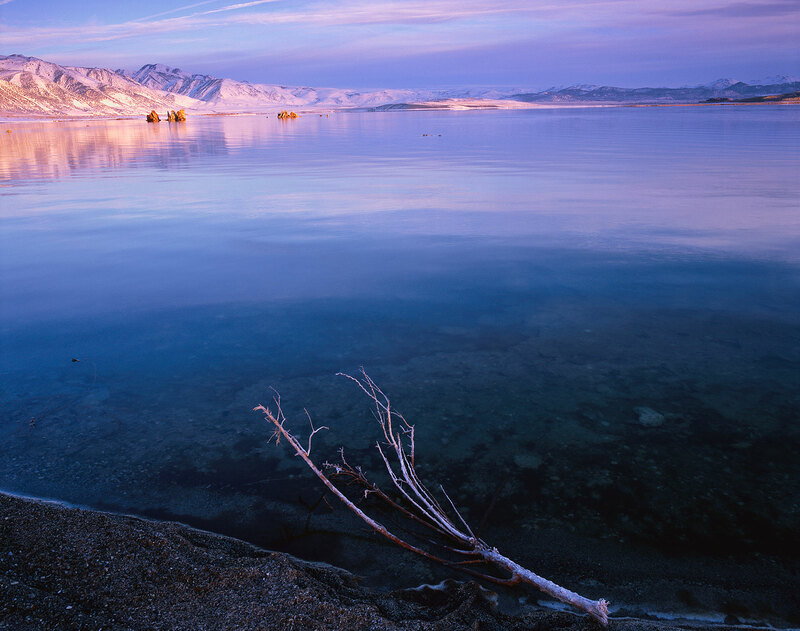 Sunrise through hazy winter clouds reflects in the still mineral waters of Mono Lake. A stark, surreal landscape, due to the extreme saltiness and alkalinity of the lake and nearby soil, Mono Lake has a specially evolved ecosystem of algae, brine shrimp, and salt flies that is an important oasis for migratory birds. After diversion of valley water by the Los Angeles aqueduct began in 1941, the level of the lake dropped over 45 ft. until a coalition of local residents and environmentalists succeeded in protecting the lake and reversing its water loss in 1994.